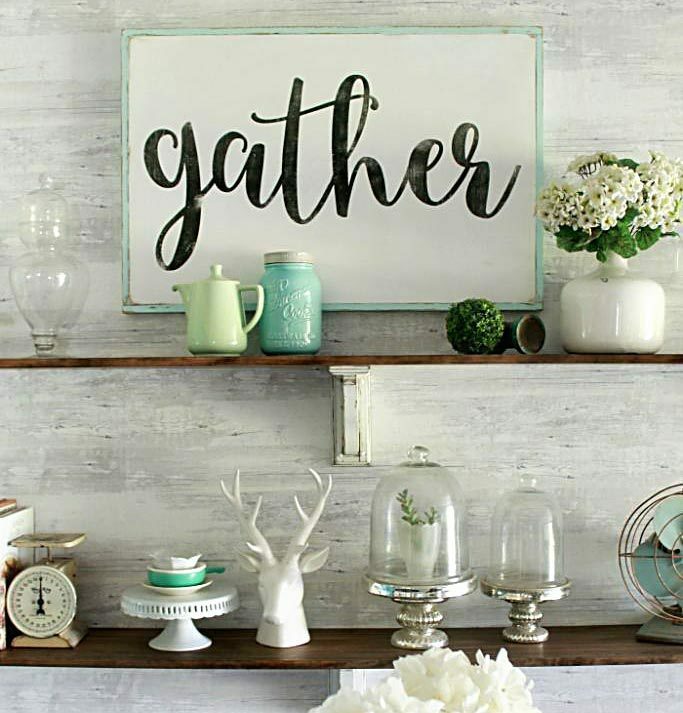 If you’re in our little decor circle on Instagram, you’ll have noticed the lemon decor trend. We are especially loving this movement because Kelli’s favorite color is yellow but also because our dad is a citrus farmer! 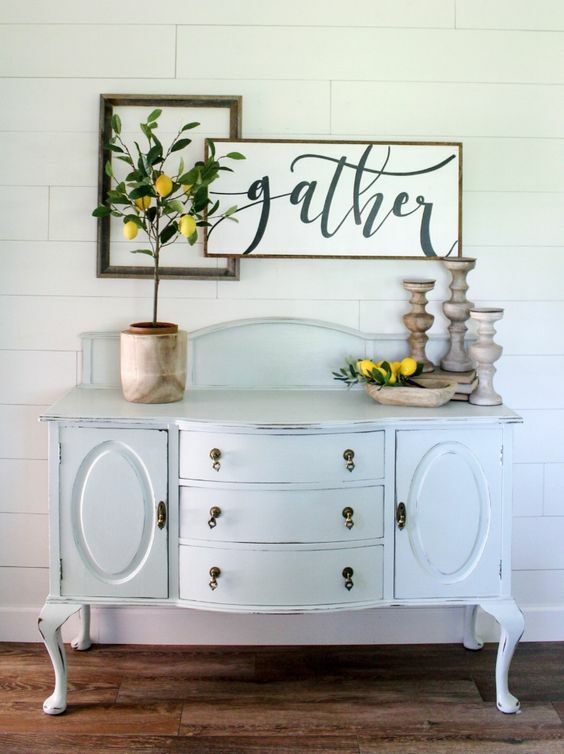 We love that even the neutral farmhouse decor is adding this pop of yellow to their usual black, white and stain decor. What do YOU think? Are you adding these yummy smelling lemons to your decor too? 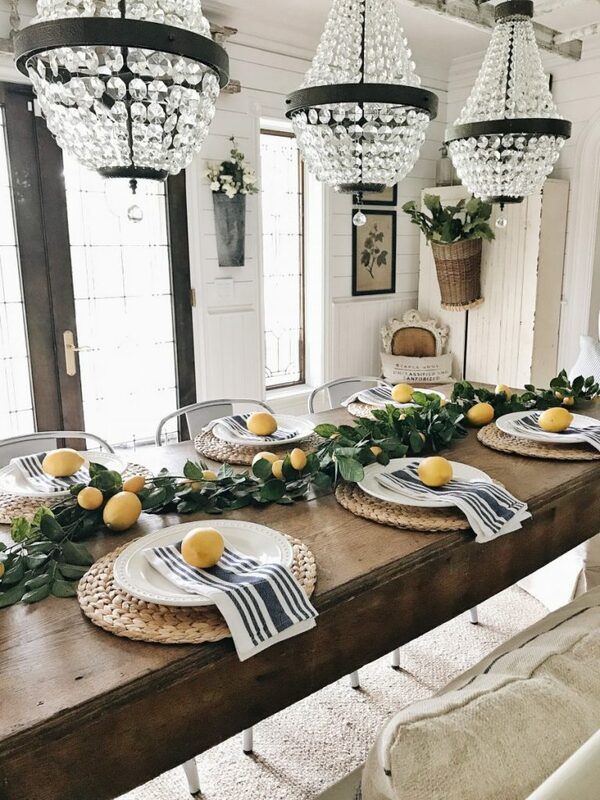 Liz is a decor trend setter and we love the lemon and greenery table runner dining room she created, via Liz Marie blog. 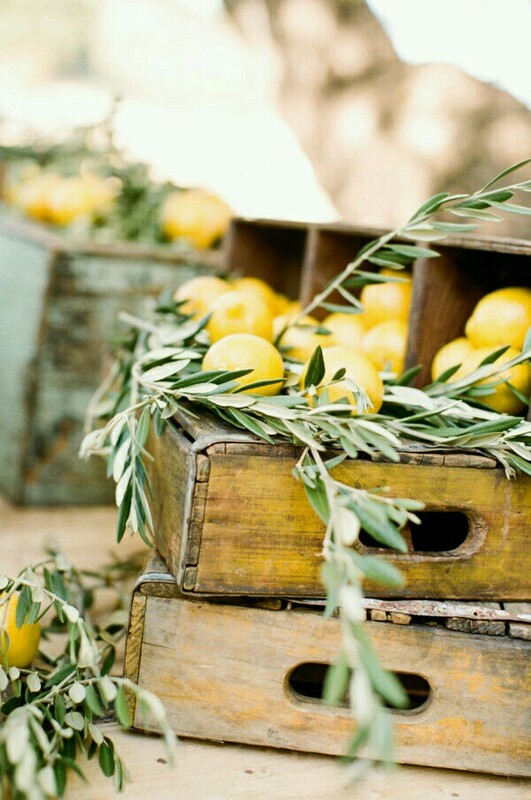 We would love to see the bigger picture here but adore these lemons and vintage crates, source unknown. 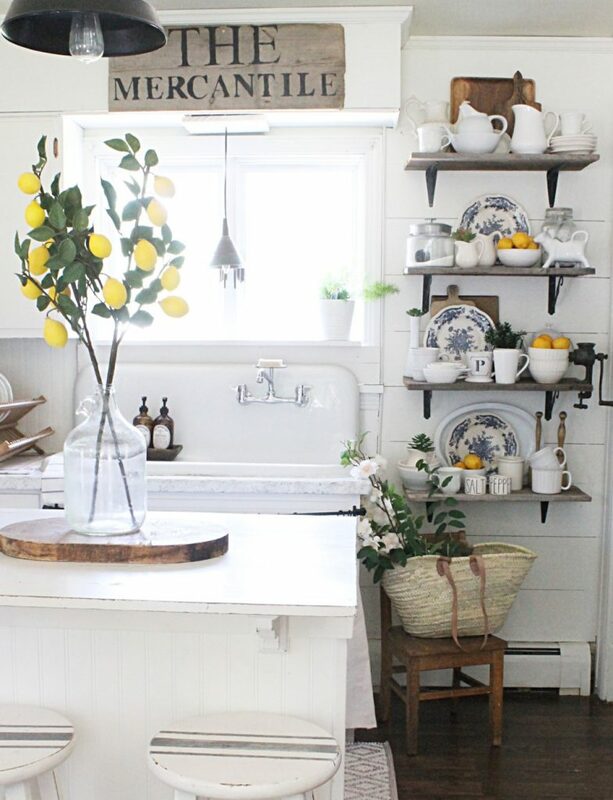 We absolutely love every detail of this space but the kitchen lemon decor is too cute, via The Willow Farmhouse. 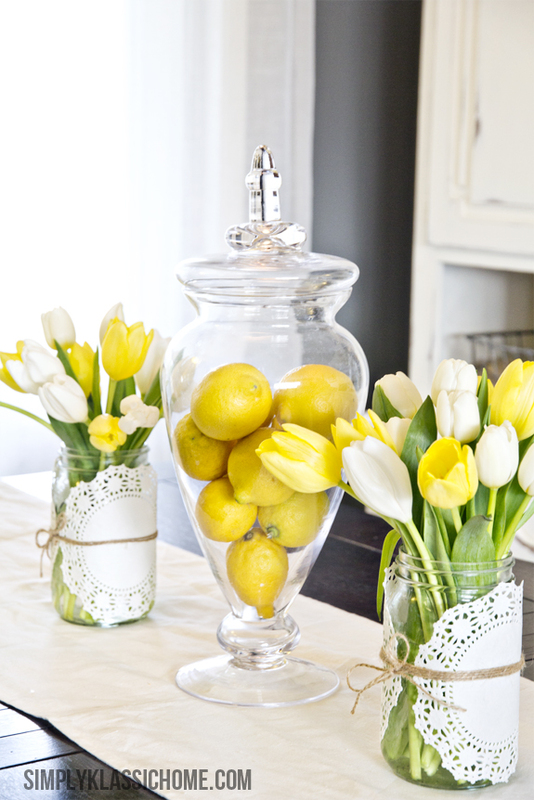 Pull together an easy lemon centerpiece by placing lemons in an apothocary jar, via Yellow Bliss Road. 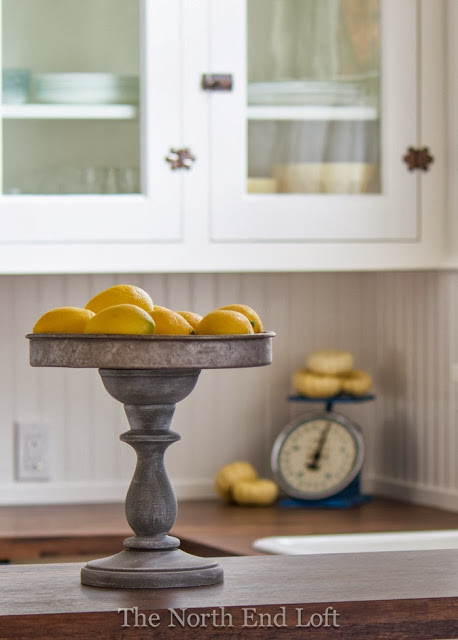 Make a DIY Rustic Pedestal Stand then fill ‘er up with happy faux lemons, via North End. Place artificial lemon trees in cute wood baskets to add color to your space, via Cotton Stem. 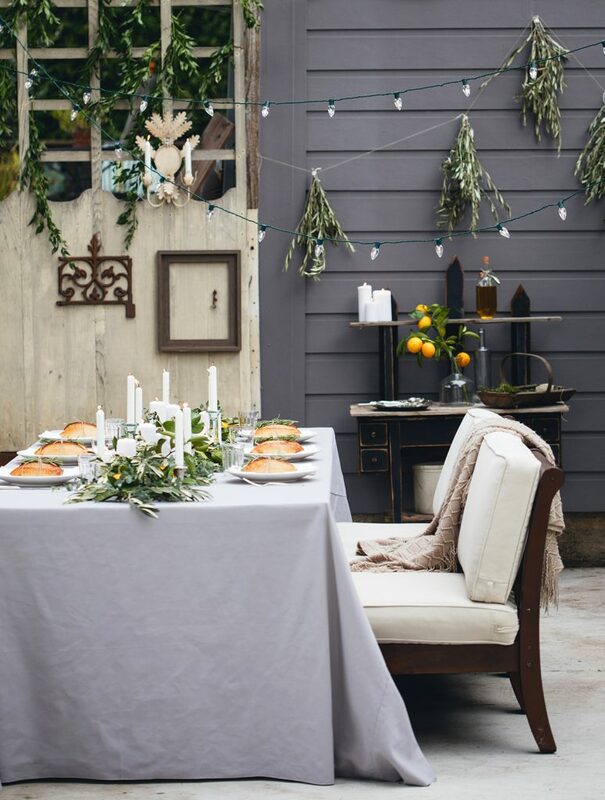 This outdoor dining space is simply stunning with decorating with natural decor like lemons, via Mangia Way. 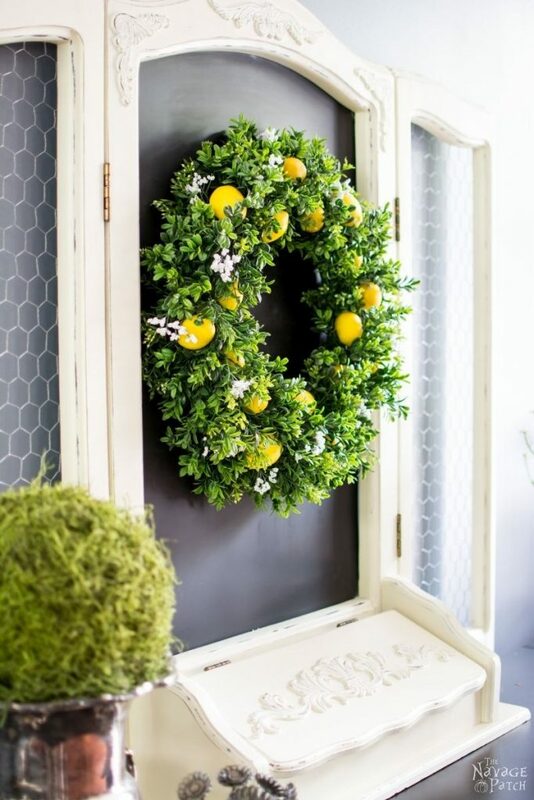 If these lemon decor ideas are too overwhelming, try whipping up a darling lemon wreath, via Navage Patch. 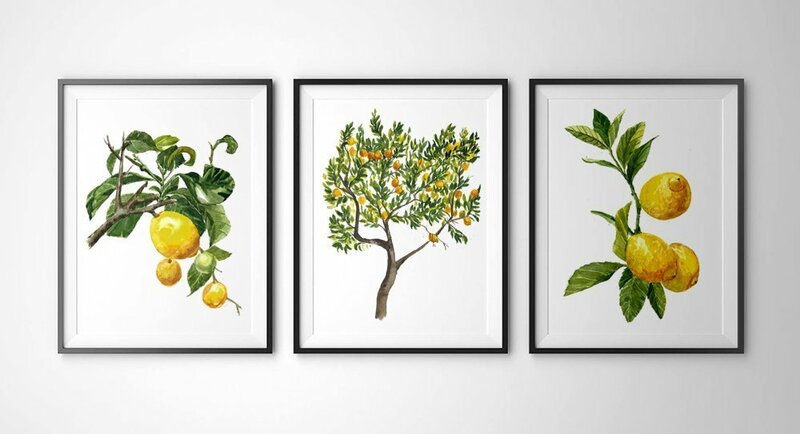 This set of Lemon Botanical Prints are gorgeous if acutal lemons aren’t your thing, via Antony Print. 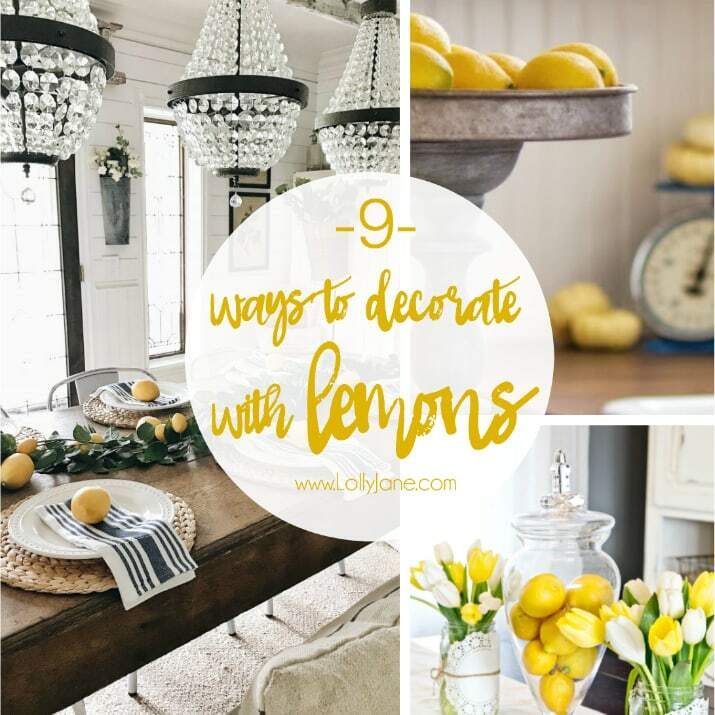 Pin this fun roundup so your friend’s can decorate with lemons, too! These ideas are all so simple and casually elegant. Love this post. Pinning. All design is superb and very nice ideas! I love this post . Thanks for sharing!! !